Your passport to beer, wine, and cocktails across America and around the world. 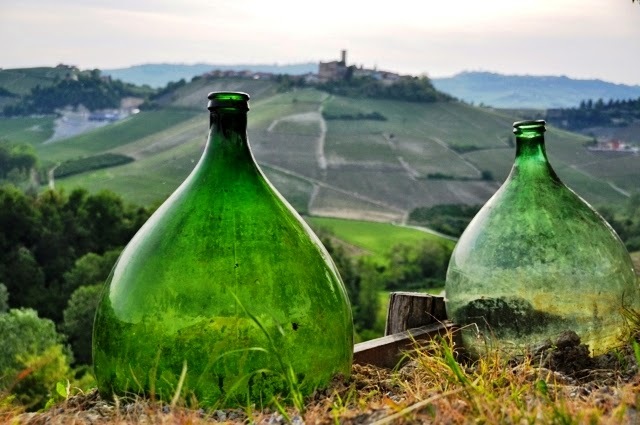 For red wine lovers, the Piedmont region tucked in Italy's northwest corner beckons longingly. 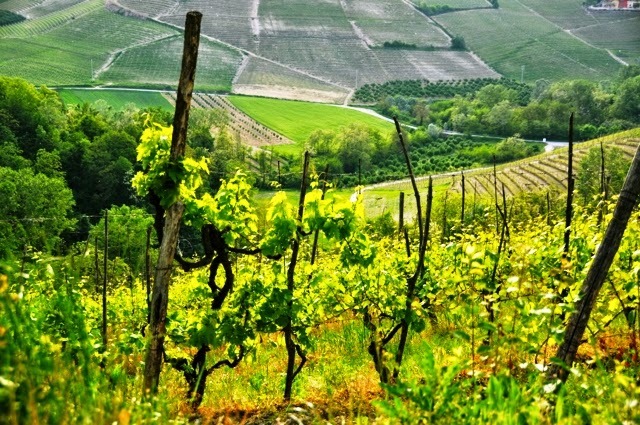 Home to some of the country's best wines made from hearty Barolo, Barbera and Nebbiolo grapes, the country rolls endlessly through shades of green, gold and all manners of red when grapes are on the vine. Encompassing more than 25,000 square kilometers and featuring fantastic foodie towns like Alba (home of the Slow Food Movement) and Turin, Piedmont is everything people come to Italy for. Countless charming communities fill the landscape, almost forming a “connect the dots” type experience as you travel on winding country roads from town to town. Bordered on three sides by the Alps, this part of Italy is a feast for the senses and the wine does not disappoint. One of the best ways to experience the local wine is to stay on an “agritourismo.” These bed and breakfasts are situated on working wineries where guests are treated to a first-hand look at the operational effort required to produce a great bottle of wine. Depending on the facility, guests can participate in harvest activities, talk with support staff and of course partake in any number of tastings! One of the most lovely in the region is located in Serralunga d'Alba – Cascina Meriame, home to the Paolo Manzone winery. This five-room house offers cheery, bright and spacious rooms, each decorated with a different theme and color palette, all with views over the central courtyard. Out the window are miles of all shades of green and a castle on the hill across the way (it seems as if each small town in this region comes with either a castle or some sort of large tower). Look to one side and you can see workers heading out on tractors for the day; you might even catch the winemaker himself heading out to battle recently sprouted weeds. The climate and soil here facilitates varieties not found anywhere else in Italy such as the Nebbiolo, Barbera and Barolo, yielding bold, juicy reds that linger long after the conclusion of the meal. This unique clay-limestone soil, which is actually poor for growing other things, is a perfect fit for these vines and vineyards are often planted in an amphitheater shape, which attracts, concentrates and maintains heat. This perfect combination allows a total exploitation of the area's sunlight, but also protects the vines from wind and prevents any sudden temperature drops. Of course you need some hearty and fresh meals to balance the large amount of wine available all throughout Piedmont. One great tip is trying a different trattoria each day for lunch. After an afternoon siesta back at your agritourismo, head out to one of the countless Osterias (more traditional sit-down restaurants) where you will enjoy multi-course family style meals, more likely surrounded by tables of locals celebrating a birthday than tourists. A yummy choice in the Piedmont region is Osteria da Gemma in Roddino. This unassuming stone building sits tucked back in a maze of the cobblestone streets, not on the main square . . . if you park by the main square, seek out a small walkway to the right and find the entrance marked by a wooden sign. If you get lost, follow the locals or your nose! Each harvest, Piedmont produces a bumper crop of grapes producing delicious wines that often cost three or more times the price in the United States. 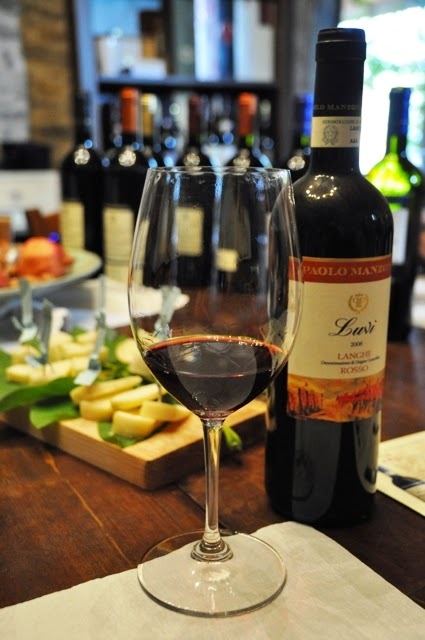 If your time in Italy allows it, a detour to this little slice of heaven will yield rich rewards for your palate and leave you happily (almost) drowning in a sea of red! Contributor Aimee Cebulski has been furiously catching up on lost time as a traveler after a five-year battle with fear of flying grounded her dreams of visiting far-flung destinations in her mid-20s. Now, she’s proud to have 52 stamps in her passport and considers each new one a triumph over fear. She’s worked as a freelance writer and photographer for almost 15 years and currently calls San Diego, California home. Her work has been featured in a number of travel, business and lifestyle magazines, websites and photo galleries. She recently combined her love of travel, new cultures and writing with the release of The Finding 40 Project, a book about women turning 40-years-old around the world. Steve Grams is a father of two who has spent his married life traveling to the world's beer capitals. He aims to support local beverage makers and bring some extra attention to these communities' first craftsmen. Katherine Belarmino has been traveling the world for over 10 years with her husband. She loves to experience as much as she can in every destination, including the local beers, wines, and cocktails. She also writes the travel blog Travel the World.